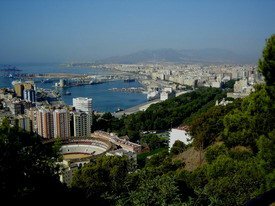 This Malaga city overview will help you plan your vacation. There is a lot to do in this city. 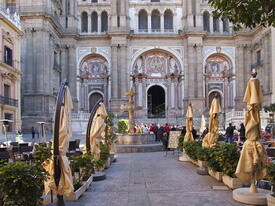 Malaga is home to several museums allowing you to enjoy the history, art and culture of the area. The market area and the surrounding area is a great place for shopping, eating and enjoying the night life in the city. Become familiar with the attractions to help you create an itinerary for your vacation. Malaga is the second largest city in Andalucia. It is located on the Costa del Sol. Malaga city is the capital of the Malaga province. The region is well known for wine production, fresh seafood and beautiful weather. The Malaga airport is convenient to the city and offers discount flights from several airlines. The Picasso Museum honors this city’s most famous resident. Pablo Picasso was born in Malaga. The museum is dedicated to the life and works of the artist. The home where Picasso was born is located not far from the museum. The home has been preserved and is now the headquarters of the Picasso Foundation. There are two museums located on the site of the Alcazaba Castle. The Archaeological Museum contains a variety of Greek and Gothic artifacts. Also on the site is the Museo de la Ceramica. This museum is dedicated to pottery and has a variety of pottery from many historical periods. A first century Roman theater is also located on the grounds. 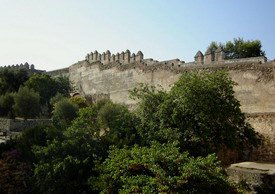 The castle is built on the remains of an ancient Roman fortress. The castle was expanded in the fourteenth century. This is one of the oldest castles in Spain. You will get to experience the history of this city when you tour the castle. Malaga is home to a few other museums as well. The city museum is located in the old part of town. The Museum of Arts and Popular Traditions is an interesting place to visit. This museum contains art from local artists of different periods including modern art. The Cathedral is one of the best known buildings in the city. The area where the cathedral stands was originally the site of a mosque. Construction on the cathedral started in 1528. Construction continued off and on over the next few centuries. It was stopped in 1783, when the money ran out. The south tower is still not finished. You will observe many different styles of architecture in this building. The market area is located just west of the Cathedral. Both are located in the old part of the town. You will know the market hall by the elaborate marble entrance. Here you will find the best the city has to offer for sale. There are fresh fish, seafood, fresh flowers and vegetables for sale. In the area surrounding the market, there are a variety of restaurants. Fresh seafood is always on the menu. This area is also home to several bars. If you are looking to enjoy some night life during your visit, this is where you will find it. The harbor area is another popular spot in Malaga. There is a great view of the water when walking along this area. There is also a nice park near the harbor area to relax and enjoy the beautiful weather in this area. A bullfighting arena is located in this part of the city and is another popular tourist attraction.